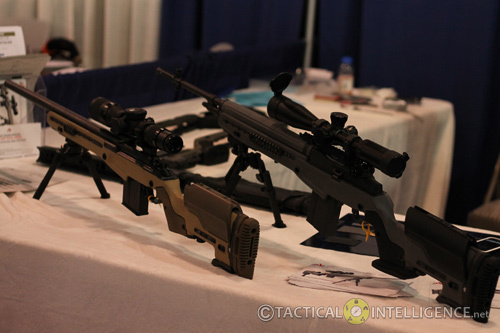 This year I had the opportunity to head out to the SHOT show. 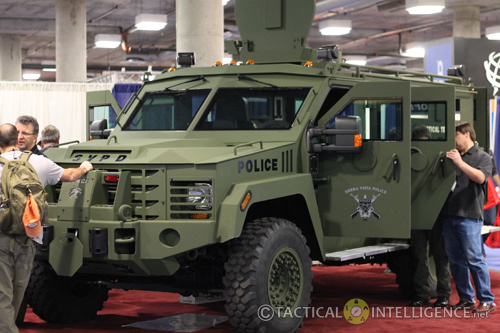 For those unfamiliar with it, SHOT (The Shooting, Hunting, Outdoor Trade Show) is the largest and most comprehensive trade show for all professionals involved with the shooting sports, hunting and law enforcement industries. 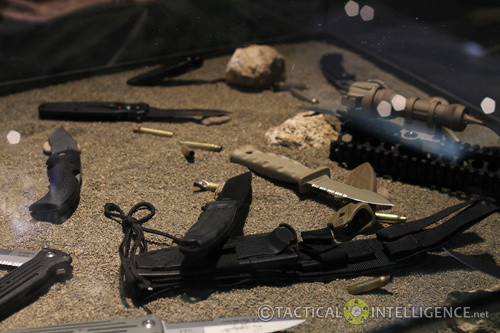 It is the world’s premier exposition of combined firearms, ammunition, law enforcement, cutlery, outdoor apparel, optics and related products and services. 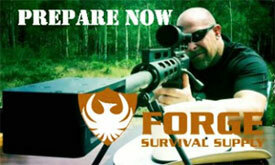 At SHOT you’ll see latest upcoming gear, weapons and technology in the industry. It’s a lot of fun. I forgot the maker of these targets but they’re pretty cool. These targets swing from one side to the other when shot so you don’t have to waste time walking out to the range to reset them. Here’s another set of targets from these guys. 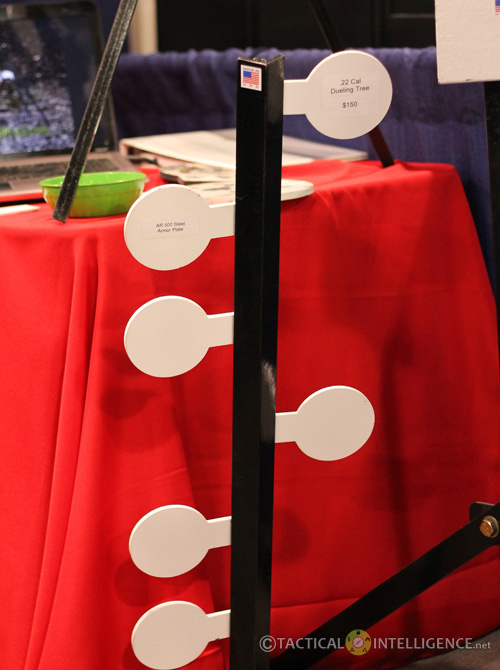 These swing from top to bottom or bottom to top when shot (except for the center one that swings). 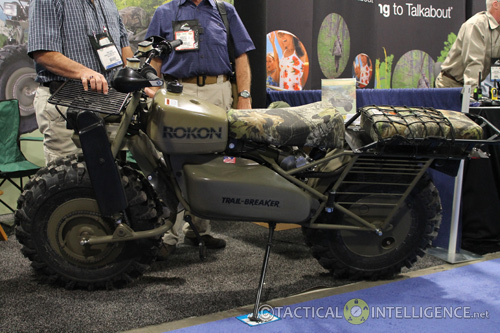 How’s this for a bug-out vehicle? 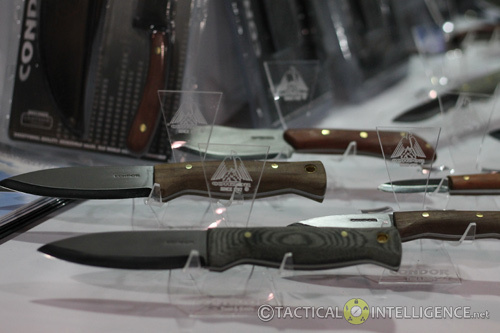 Condor has some nice knives. 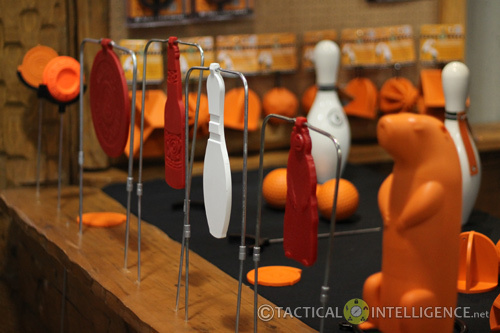 Self-healing targets by Do-All Outdoors. 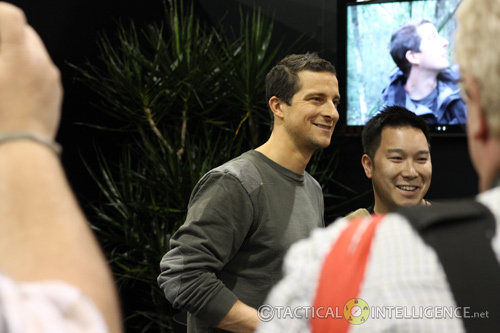 Bear Grills (Man Vs. Wild) hanging out at the Gerber booth pushing his knives. 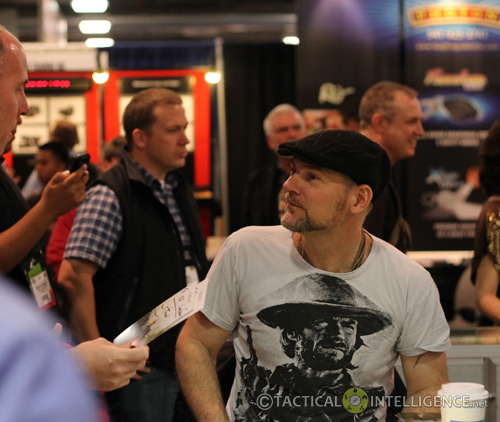 Les Stroud (Survivorman) pimping his new knives. 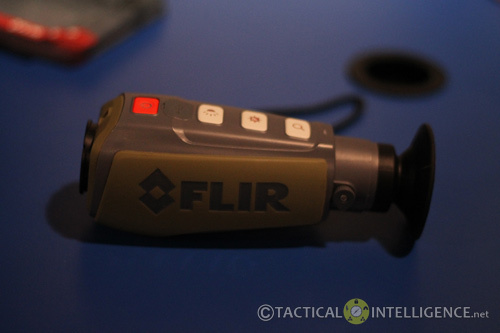 FLIR has a new smaller, less-expensive version of their Scout line of thermal optics. 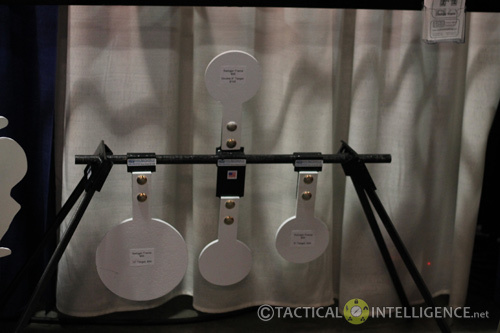 J Allen Enterprises’ sweet precision stocks. 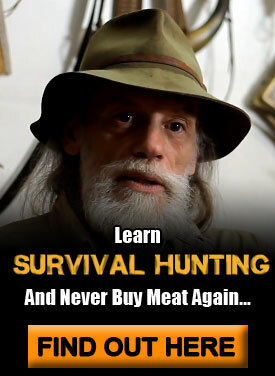 Maybe Santa will bring this next year (I obviously wasn’t good enough for one this year). 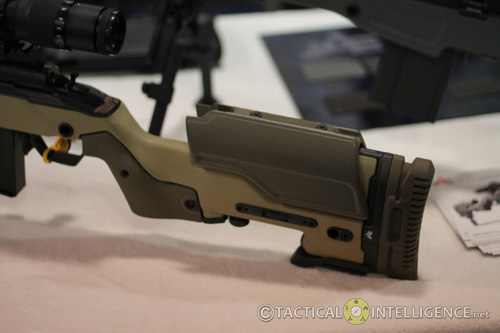 A closer look at the stock. 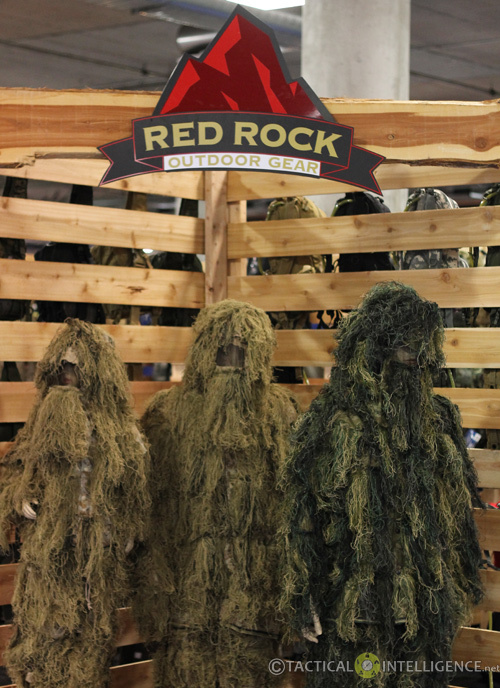 Red Rock Outdoor Gear ghillies. 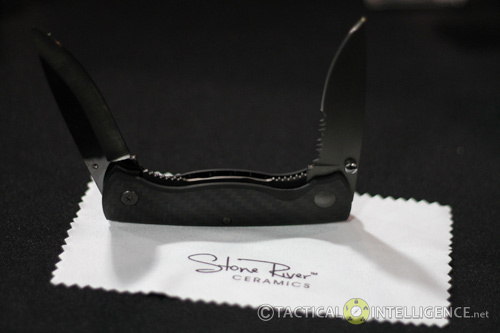 Stone River’s got some pretty cool ceramic knives. 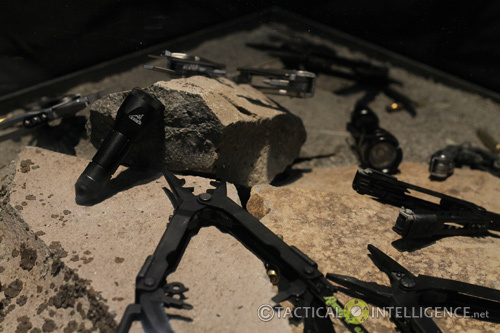 This one is half ceramic half titanium. 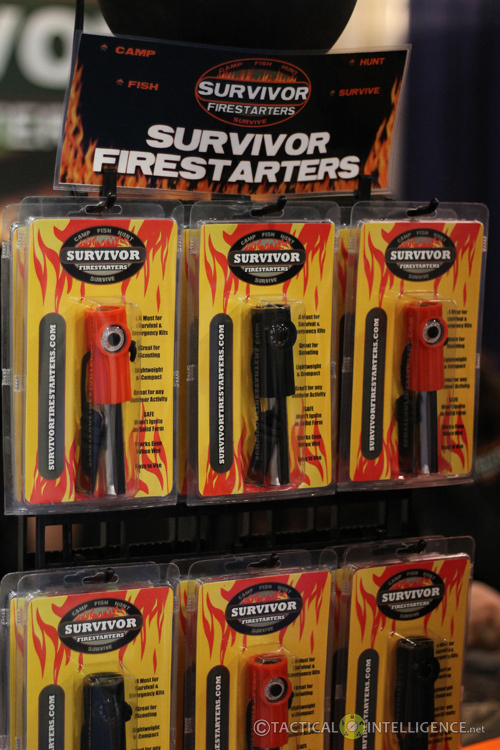 Survivor Firestarter. 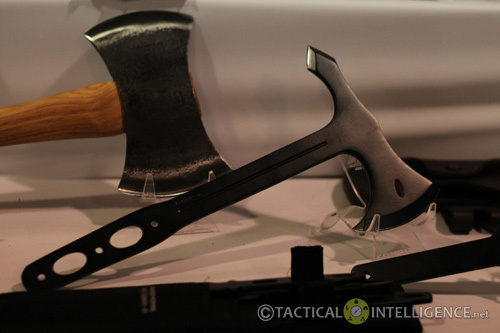 Your typical firesteel with some added things like a compass and thermometer. 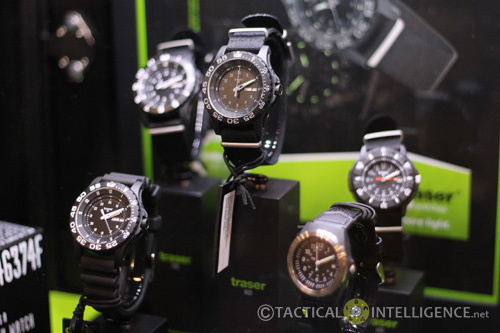 Traser makes some really nice watches with some innovative illuminating indicators that don’t go dim for years and years (similar concept as night sights on pistols). The TreeBlind from Nature Blinds. These blinds were pretty sweet. 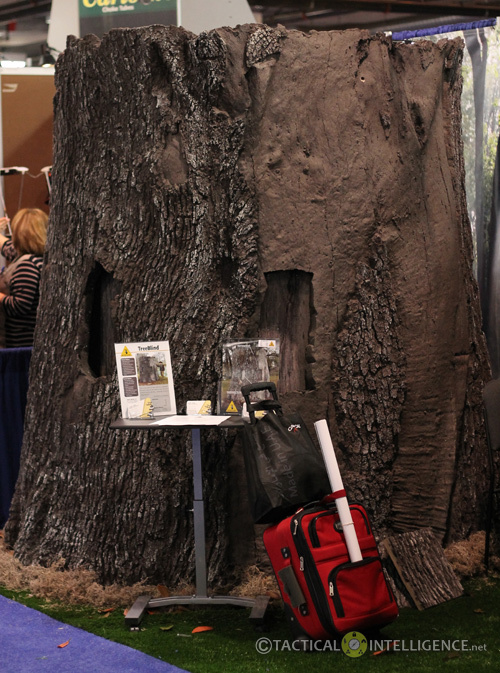 They look like real trees, have a round roof that keeps you dry and with six windows, it offers a 360 view. That looks like Action Targets dueling tree. They have entirely too much of my money. If you don’t own a dueling tree for god’s sake don’t buy one. 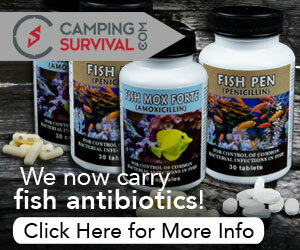 They are a black hole for ammo and hours and hours range time.